A cake blended with an apple fruit filling and finished with a crumble topping. 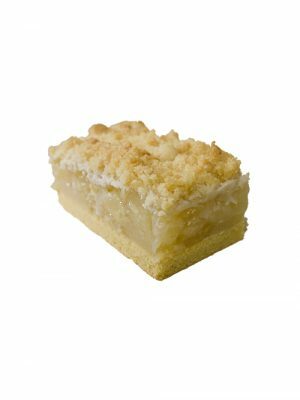 Individually sliced in rectangles with a thick layer of apples, golden shortcrust base and topped with a rich shortcrust crumble topping. Multi layered sweet pastry stuffed with apple and topped with icing. 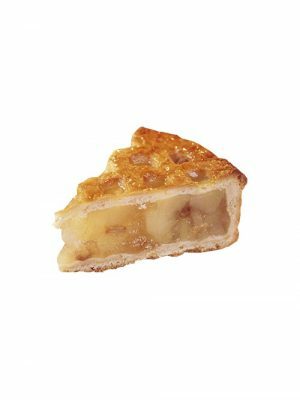 Made with filo pastry, the balance is just right with apple, breadcrumbs, sultanas, cinnamon and syrup. 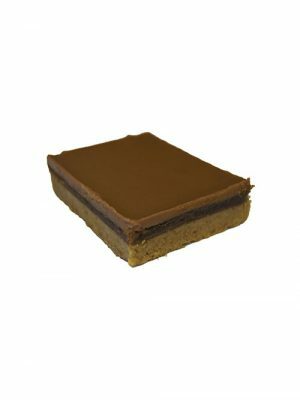 A fudgy, chocolate, biscuit crumb base topped with caramel and a layer of chocolate flavoured coating. A wonderful mixture of freshly grated carrot, sultanas and wholemeal flour with a hint of cinnamon. This monster 5" cookie is generously coated with chocolate chips. 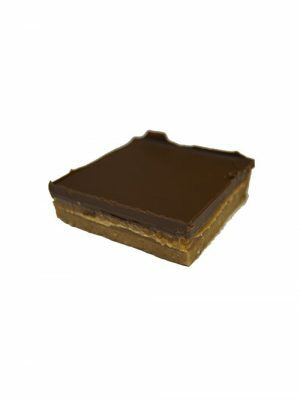 The cookie has a soft biscuit centre with crispy edges. 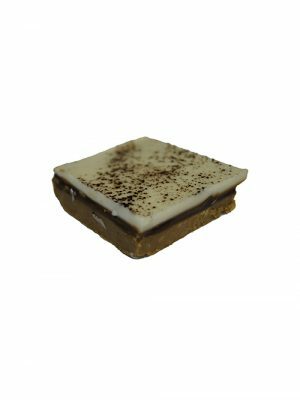 A great treat with either coffee or tea. Cornflakes & chocolate flavoured coating combined. 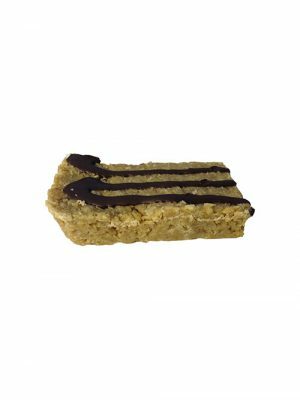 Oat base topped with dark chocolate flavoured coating.